Diane Clay holding her award for Kansas Outstanding Court Clerk of the Year. 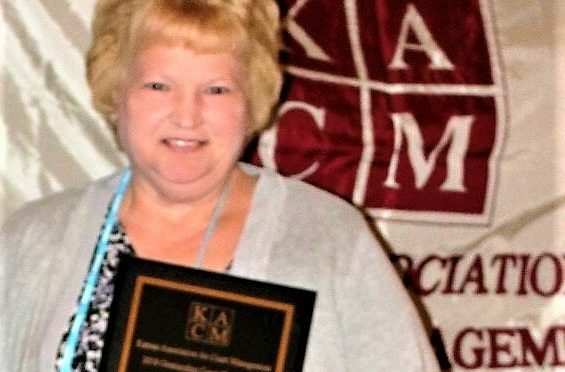 Fort Scott City Clerk Diane Clay earned the Kansas Outstanding Court Clerk of the Year Award recently. 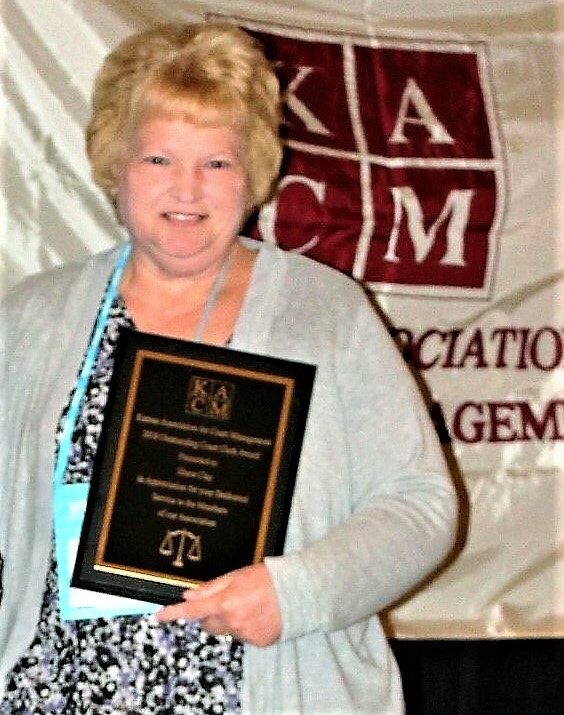 This award is selected by the Kansas Association for Court Management Past President’s Committee to a clerk who has shown outstanding service. The award was presented to Clay by Amy Spitler, Past President of the K.A.C.M. organization on September 27. Clay has been a part of the K.A.C.M. organization for 19 years and been Fort Scott City Clerk/Municipal Court Clerk for 19 years. She has served as the K.A.C.M. Ambassador Chair for many years, secretary for two years and served as a trustee on the board of directors for many years. She has been with the City of Fort Scott for 20 years where she served as the city manager’s administrative assistant for one year. Clay’s duties as a court clerk are to enter all new citations that are given by the Fort Scott Police Department, create a weekly docket, attend court every week and keep accurate records of fines assessed by the Municipal Court Judge, Blake Hudson. She then receives payment of fines and sends all convictions to Driver Solutions in Topeka electronically. “I enjoy being the court clerk for the city very much,” she said. “I enjoy working with the public on a daily basis and assisting people whenever I can,” she said. Kansas Association for Court Management was formed over 30 years ago and meets twice a year at a spring conference and a fall conference. Over 300 cities in Kansas belong to this organization.